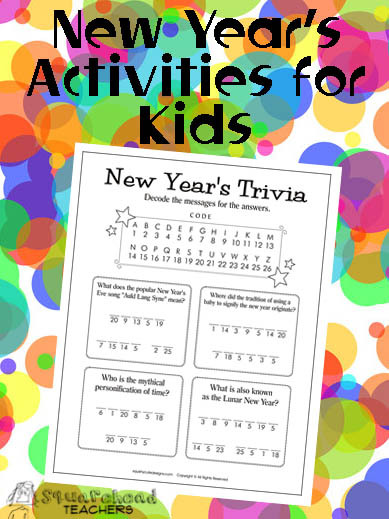 I found a great page that’s got trivia, count-downs, puzzles and printables for kids! There’s always somebody who brings a kid to the New Year’s Eve party and you have nothing for them to do! Or you’re looking for a warm-up page to give your class the first day back to school… either way, this fun website is for you! This entry was posted in Christmas/Winter, Holidays/Seasons and tagged Children, Education, Elementary School, Homeschool, Kids, New Year, Teacher Resources, Teachers, Teaching, trivia by Squarehead Teachers. Bookmark the permalink.